Beer contains female hormones! Yes, that’s right, FEMALE hormones. Last month, Montreal University and scientists released the results of a recent analysis that revealed the presence of female hormones in beer. 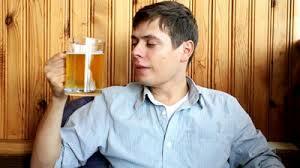 Men should take a concerned look at their beer consumption, that’s the outcome. The theory the University of Montreal tested is that beer contains female hormones (hops contain Phytoestrogens) and that by drinking enough beer, men turn into women.